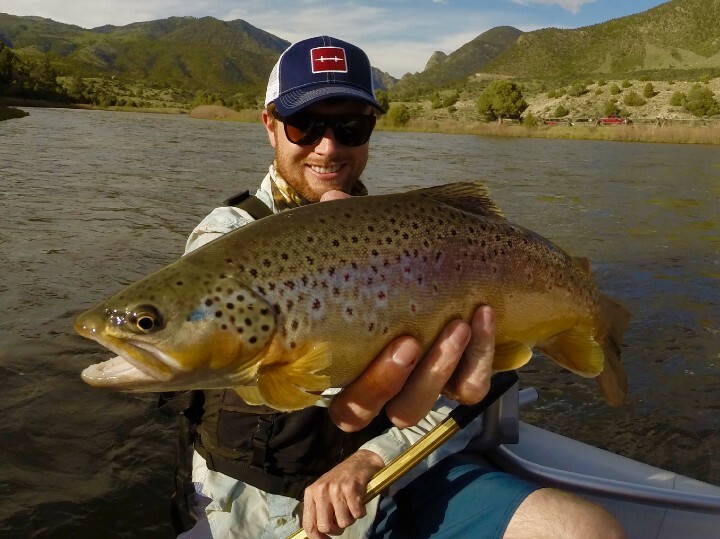 Floating and fly fishing the Colorado River between Two Bridges and Catamount is one of the best options for anglers looking for a long full day float trip. As we have seen in earlier blogs, the Colorado River offers many float fishing options for half days and shorter full day trips. Two Bridges to Catamount though, is a true all day commitment on which anglers will want to take their time to fully enjoy. 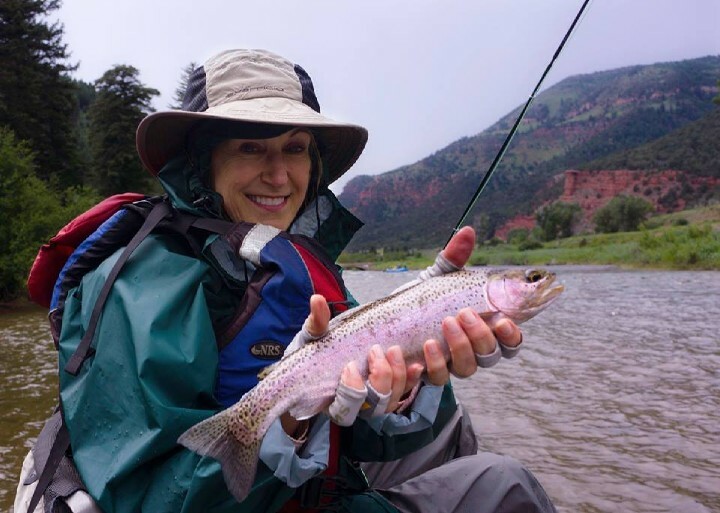 Diverse water types, remote scenery, easy rowing, improved boat ramps and plenty of willing trout make this section a top fly fishing choice on the Colorado River. Just a couple of year ago, fly fishing this stretch meant at least a twelve hour day in a drift boat or raft because anglers had to put in their boat at State Bridge and float fifteen long miles to Catamount. That all changed when Eagle County recently purchased the previously private Two Bridges area between Bond and McCoy and put in a new cement boat ramp complete with bathrooms and parking. Now anglers have it a little easier. This new public property also offers some good wade fishing access upstream of the boat ramp. To reach Two Bridges drive downstream from State Bridge on Colorado Highway 131 just a few miles. The Catamount BLM boat ramp lies about nine river miles downstream at a bridge on the Colorado River Road a few miles off of 131. Day use fees apply at these boat ramps and a pass covers both areas. As with the floats above Two Bridges, anglers can have their vehicles shuttled to Catamount through Rancho Del Rio. This section flows through a mix of private ranches and public land. Anglers may get out and wade or anchor on the public parcels. The rowing is fairly easy, even at higher flows, with no major rapids. A couple of bridges create man-made hazards that rowers should keep in mind. At low flows, a few rocky sections will require oarsmen to pay attention to the right line. The water itself varies throughout the float and flows through classic western terrain with rocky juniper-covered ridges, cottonwood stands and red rock cliffs along the way. Long meadow stretches offer great bank water for hopper and streamer fishing while long slow pools are ideal for stalking pods of rising fish. There are even some faster, rocky sections that feature pocket water loaded with trout. Wild brown trout dominate this part of the Colorado River with lesser numbers of rainbow trout and Rocky Mountain Whitefish. Some truly huge predator browns lurk here and the largest brown trout any of my clients has ever landed was caught here and taped out at 31 inches and weighed over ten pounds. Areas that seem to consistently hold fish are foam pockets in recirculating eddies, riffle water and grassy banks with enough depth to make the trout comfortable. The portion of the Colorado River between Two Bridges and Catamount has a diverse array of insect hatches. 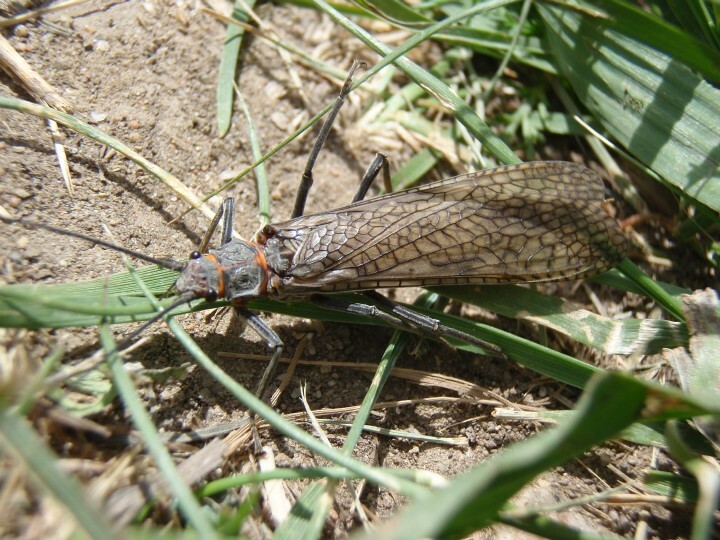 Good numbers of golden stoneflies, caddis, blue winged olives, and tricos hatch from late spring through mid-fall. Augmenting these hatches are huge numbers of grasshoppers that are common from mid-summer through early fall. Sculpins, trout fry and other baitfish are also important menu items. Fly fishing tactics should reflect what is happening with hatches or lack thereof. Cloudy days create the best fly fishing conditions. Floating anglers should also fish based on the amount time this float takes. Stopping to thoroughly nymph each choice riffle may be tempting but also eats up the hours. For this approach, an overnight float is a good idea and there are several unimproved campsites available along the river on BLM land. For the typical day trip, a better approach may be fishing on the run with a dry fly and dropper nymph rig or covering water with streamers. During autumn, there may not be a better streamer float anywhere on the upper Colorado. These trout experience much less pressure than their upstream cousins at State Bridge and Pumphouse and they love to eat big, gaudy patterns like a Tequeely or Home Invader. This part of the Colorado ices up during winter and is not a year-round fishery. Generally speaking, putting the boat in at Two Bridges is best between July and November. Depending on how heavy the snowpack is, how spring runoff affects the river and how flow regimes are managed on upstream reservoirs, anglers may also float this section in the spring months as well. 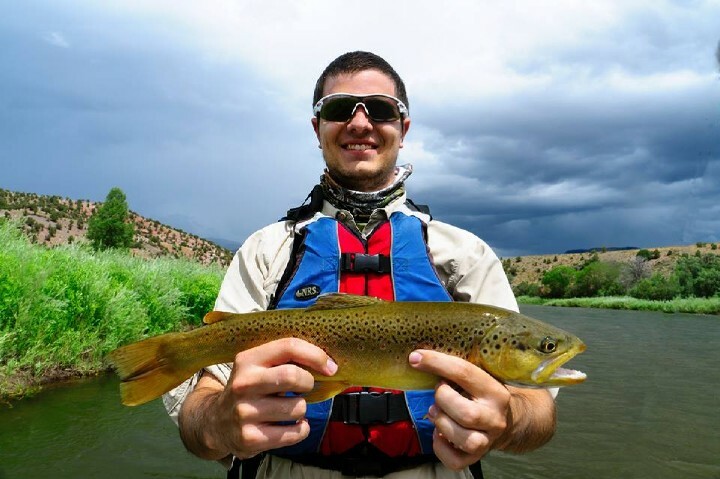 For more fly fishing information on floating from Two Bridges to Catamount or to arrange a guided trip with one of our professional guides on this float trip contact the guys at Vail Valley Anglers in Edwards, Colorado or go to vailvalleyanglers.com.